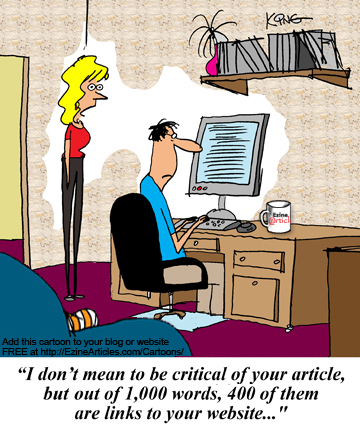 "I don't mean to be critical of your article, but out of 1,000 words, 400 of them are links to your website... "
"My article should be going live right about... now! 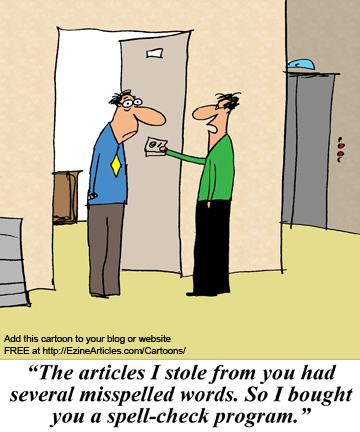 Man, I love being an EzineArticles Premium member!" 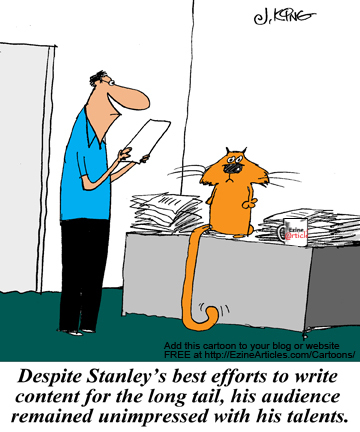 "Despite Stanley's best efforts to write content for the long tail, his audience remained unimpressed with his talents." 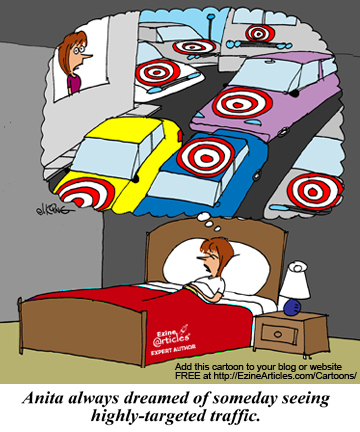 "Anita always dreamed of someday seeing highly-targeted traffic." 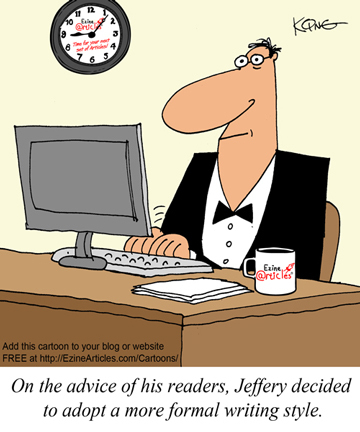 "On the advice of his readers, Jeffery decided to adopt a more formal writing style." 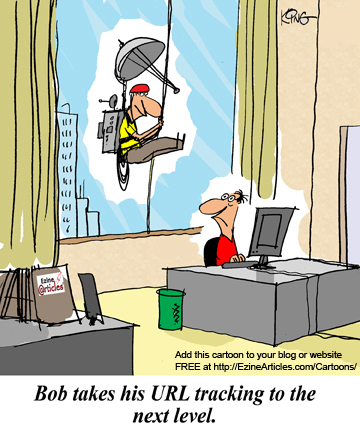 GRAB your WEBSITE that you can CONTROL ANYTIME and ANYWHERE YOU WANT AT THE CONVENIENCE OF YOUR OWN COMPUTER! 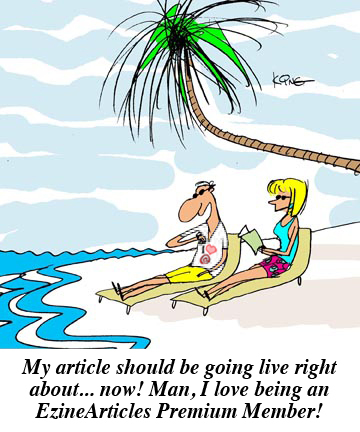 Confused on the Normal Process of Website Development?